For more than half a century, Camp Bowen has been a second home to its campers and a cornerstone of Canada’s Blind and Deafblind Community. For many Canadians living with blindness or Deafblindness, Camp Bowen is the one place where they can truly be themselves. 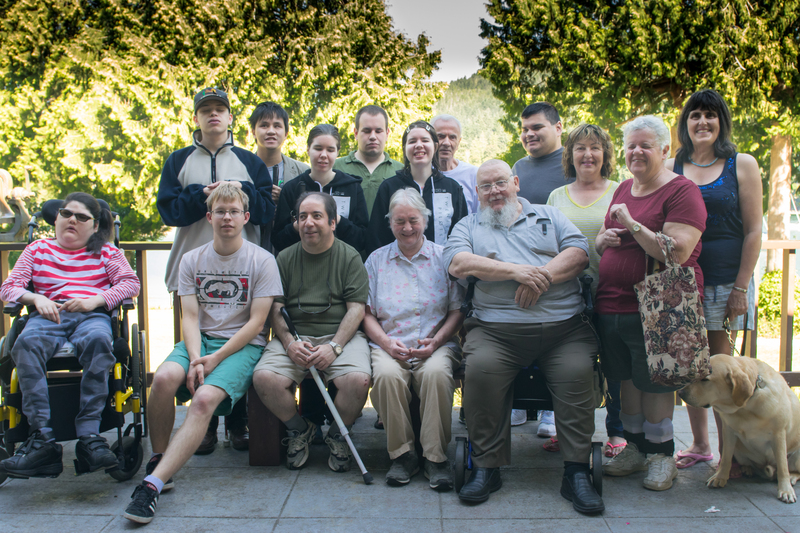 Whether it is swimming independently for the first time or just meeting likeminded people, Bowen is a sanctuary, where blindness and Deafblindness are not barriers and campers are encouraged to reach their full potentials. Camp Bowen needs your help! To see some of the pressing issues affecting the programs click here. Camp Bowen provides fun and engaging retreats for blind and Deafblind Canadians of all ages to come together, share and learn. No matter how you like to spend your time, we have a program that’s got you covered. The goal of the Camp Bowen Training and Recreation Centre project is to create a 9 month training program, designed to give all Canadians who are blind or Deafblind an opportunity to learn essential independent living skills. The Camp Bowen Society for the Independence of the Blind and Deafblind is a federal not-for-profit organization that operates the Camp Bowen summer camps, independent living skills training, and other programs benefiting people who are blind and Deafblind. On Bowen Island we run the Bowen Island Accessibility Group, a program geared generally towards promoting advocacy and peer support of people with disabilities and our allies. Together, we can ensure every blind and Deafblind Canadian and their families have the opportunity to connect, live with dignity and independence, build friendships and reach their full potentials. Have a question, suggestion or comment, please contact us and speak to one of our team members.